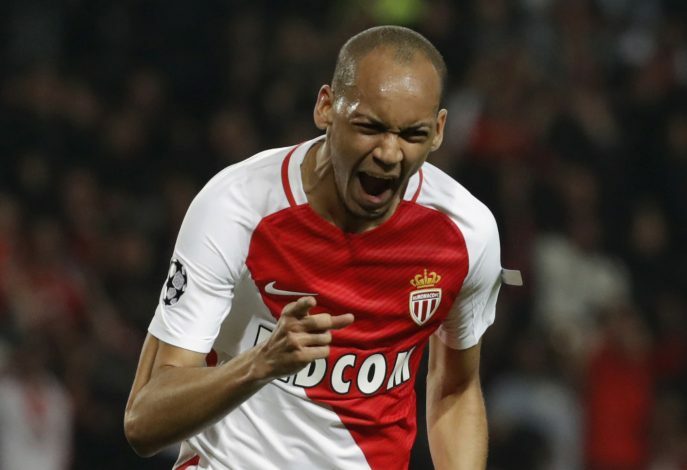 Manchester United have apparently moved ahead of their local rivals Manchester City in the race to sign Monaco star Fabinho. Both the Premier League giants are fancied to sign the Brazilian midfielder, with Pep Guardiola’s side considered to be the frontrunners for Fabinho’s signature this summer over rivals Manchester United. However, according to journalist Hesham Bilal-Hafiz, a fan reporter for the Manchester Evening News, an ‘impeccable source’ has informed him that the Red Devils have taken pole-position to sign the highly-rated midfielder away from Ligue 1 club. Time for the news. All gone on quiet on his front but I was told by an impeccable source Utd are considerably leading the race for Fabinho! Fabinho has been one of Leonardo Jardim’s stars this season, and has helped the club end Paris Saint-Germain’s four-year streak as Ligue 1 Champions by clinching the title this season. With both Jose Mourinho and Pep Guardiola looking to bolster their midfield for next season, Fabinho has come out as a prime target for both the managers. The Brazil international’s versatility is one of the major reasons of interest from both the Manchester clubs, as Fabinho is also capable of playing at full-back. The Citizens have already signed one of Monaco’s stars, Bernardo Silva, and the club would be hoping to reunite Fabinho with his ex-Monaco teammate at the Etihad. Meanwhile, United too want to form a formidable midfield, by combining Fabinho with Ander Herrera and world-record signing Paul Pogba.